Master Diamond Cutters works with independent jewelry retailers all over The Green Mountain State. 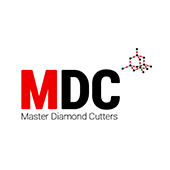 Our team of dedicated master diamond cutters recut or repair your diamonds to the highest cut grades. It makes no difference whether you’re located in Burlington, Montpelier or Rutland- we will arrange all the necessary shipping documents to send your diamonds to Canada to be recut, repaired or re-polished- it’s part of our IDEAL SERVICE . If you’re sitting on chipped or damaged, older shapes or badly cut diamonds and gem stones, your money is not working. Sacrificing a little weight and turning it into and AGS Ideal® (where possible), will help improve your cash-flow and increase profits. It really makes no difference whether you’re located in Burlington, Montpelier or Rutland- or anywhere in Vermont.